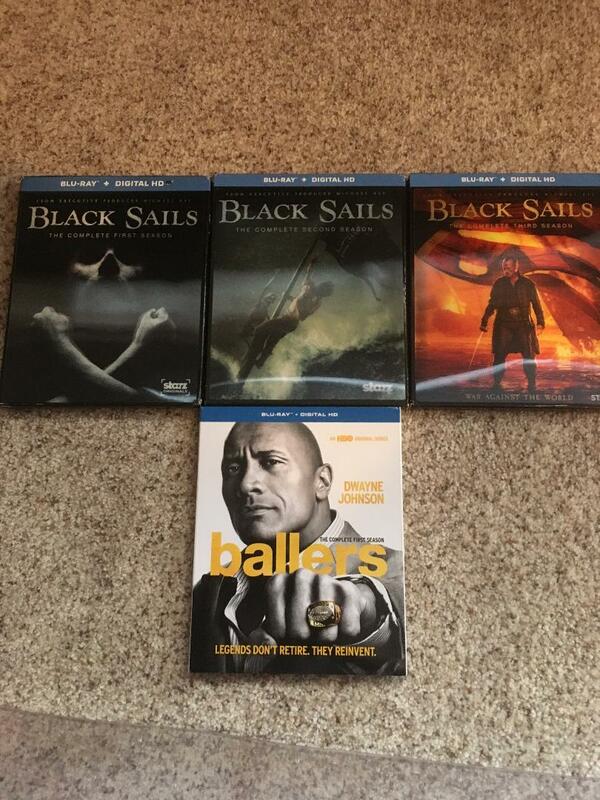 I have Black Sails TV Series Seasons 1 through 3 on Blu-ray. Also have Ballers Season 1 on Blu-ray. I already redeemed the digital codes, but the discs have never been used. Selling all 4 for $40 shipped.